12 May 1903 French protectorate of Mauritania. 27 Oct 1946 Mauritania overseas territory of France. 28 Nov 1958 Autonomy (Islamic Republic of Mauritania). 28 Nov 1958 - 28 Nov 1960 Member of the Communauté (French Community). 28 Nov 1960 Independence from France. 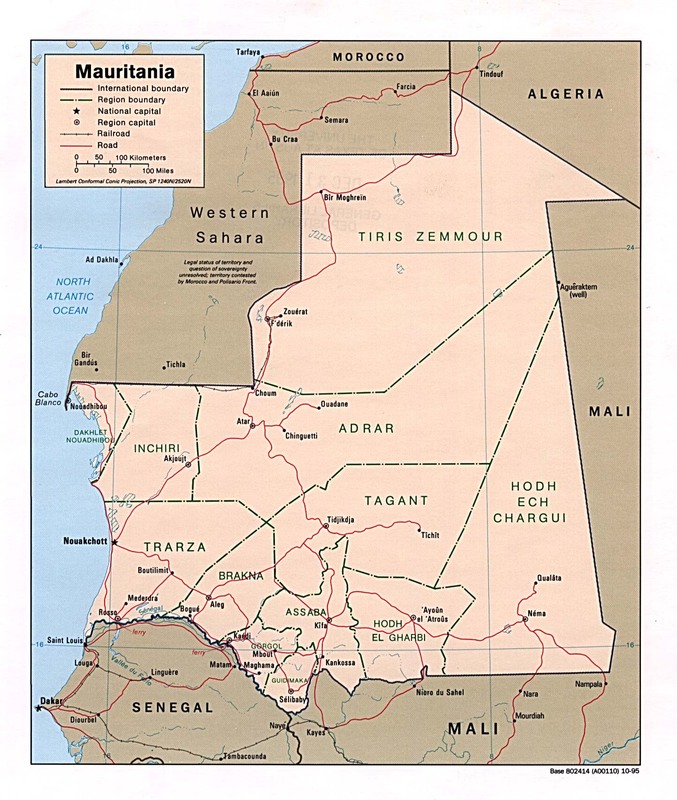 26 Feb 1976 - 11 Aug 1979 Annexes southwestern Western Sahara. in accordance with a constitutional law. Territorial Dispute: Mauritanian claims to Western Sahara remain dormant. 1445 - 5 Feb 1633 Portuguese factory (Arguim). 5 Feb 1633 - 1678 Dutch rule (brief English occupation in 1665). 1 Sep 1678 - Sep 1678 French occupation. 5 Oct 1685 - 7 Mar 1721 Brandenburg (from 1701, Prussian) rule. 7 Mar 1721 - 11 Jan 1722 French rule. 11 Jan 1722 - 20 Feb 1724 Dutch rule. 20 Feb 1724 - 5 May 1728 French rule. 1541 Francisco de Hevão ? 1576 Bráz Guedes de Carvalho ?